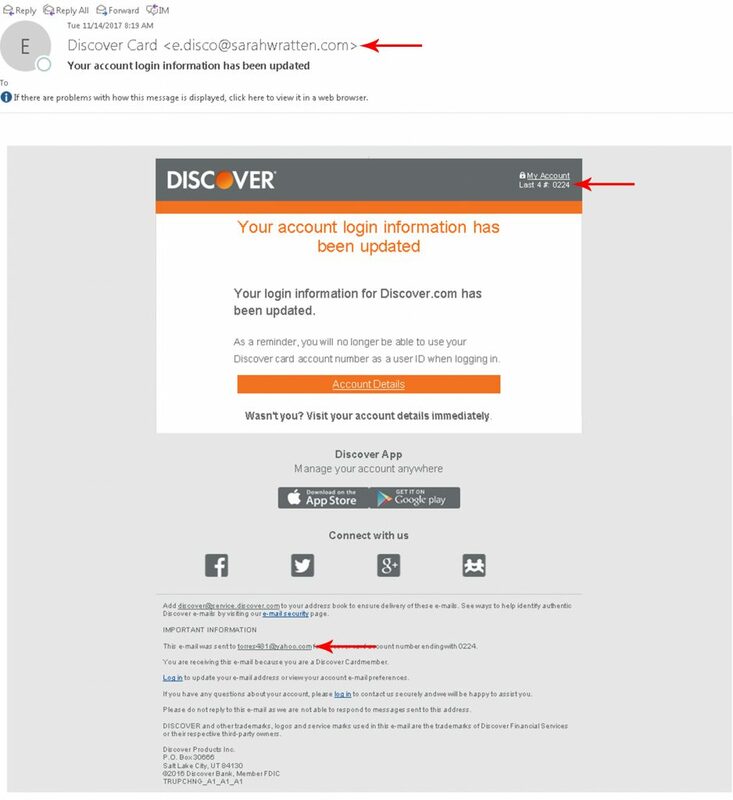 ‘Tis the season for a lot of things, but email scams? They always seem to be in style! A bunch of people in our office received this gem yesterday. At first glance, it looks legit! They’ve got the Discover Card logo and styling down. Links, apps, and that button for Account Details are also looking very valid, but when you take a second glance, there are some things very wrong with this email. Who is Sarah Wratten? Does she like to disco? Kidding! But you can see pretty quickly that this is NOT from Discover. Is this supposed to be my card number or social security digits? Either way, they don’t match anything with my information. If you needed another reason not to click the link, just read the small print at the bottom. At the bottom, you find yet another random email address that has nothing to do with Discover. Cybersecurity is such an important topic, our Director of Managed Services just presented on the subject for the Chamber’s Sunrise Seminar Series. He went over the dos and don’ts of how to keep your technology secure. If you missed the seminar, these websites offer a gist of the basics to keep your data safe. Make sure you and your employees are aware of what is coming in their inbox and tell them to NOT click on anything that is suspicious, or they are not expecting. If you need help training staff, we are here for you! We offer a User Awareness Training that includes an online training class so your team can learn when it is most convenient for them, monthly newsletters with tips and tricks in it, and a quarterly report for you to know which of your employees are safe, and which might need a little more guidance. Call us today to learn more, or sign up (970) 243-3311.